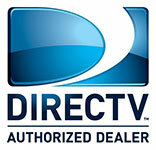 DirecTek is Corpus Christi's leading residential and commercial electronics design and installation company. From fully custom projects to surveillance security systems for your home or business, home automation, satellite television, commercial audio video installation, and simple home theater setup, and Internet, we work with each of our customers one on one to provide them with the best solution for their needs, within their budget, and to fit their home or business space. Our reputation for quality, innovation and professionalism has been carefully built with hundreds of successful installations. Investing in quality electronics and having them properly installed will provide you with many years of trouble free service. Count on us to help make your ideas a reality. From small fixes to your current equipment to a full audio/video makeover, we work with every customer to keep them happy and join the many repeat customers we currently have. A home security system is of primary concern to most homeowners. We offer our clients a comprehensive selection of the latest technology in home security and surveillance products. An integrated or "smart home" is one that's able to stream audio and video to speakers and TV's throughout the house or where computers share content with entertainment systems and iPads operate the theater and lighting system. Whether your interest is in home theater or distributed audio, our goal is delivering an audio system designed to reproduce pure sounds with rich detail, along with a video system that is so precise you'll simply be amazed. © DirecTek, Inc. All Rights Reserved.